Born and raised in India, Garima Bhatia found the joy of dancing at age 5 with Indian classical dance form bharata natyam. Through an upbringing of traditional Indian dance and a career that has spanned from instructing at Shiamak Davar’s Institute of Performing Arts to training at New York’s renowned Broadway Dance Center, Garima has brought her disciplined approach of technique and musicality to her own body of work and tutelage. Her choreography credits include include Mattel’s Monster High India official music video starring Shazahn Padamsee and the Global Desi Fashion Show at Lakmé Fashion Week 2013. I am a 200 hour certified Vinyasa yoga teacher who is registered with the Yoga Alliance. I received my training at Bhakti Barn Yoga in Millburn, NJ under the instruction of the wonderful Betsy Davis, among other incredible yoga teachers and scholars. My goal in every class is to bring my students to a safe, comfortable environment where they can have fun, embrace a challenge, and truly live in the present moment. Teaching yoga is a true honor and I love interacting with my students, watching them grow, and having plenty of laughs along the way. Yoga is all about living in the present moment, learning about the self, and having fun! My classes are designed for yogis and yoginis at all levels of practice. My classes incorporate various combinations of Vinyasa flow, balancing, standing and floor asana, inversions, and the most important pose, Savasana. Yoga as a practice can benefit both the mind and the body. An improvement in mental focus, clearer thinking, more physical strength, and an increase in energy are just some benefits related to the practice of yoga. Get ready to play with movement and balance and enjoy the beautiful flow of yoga with me! 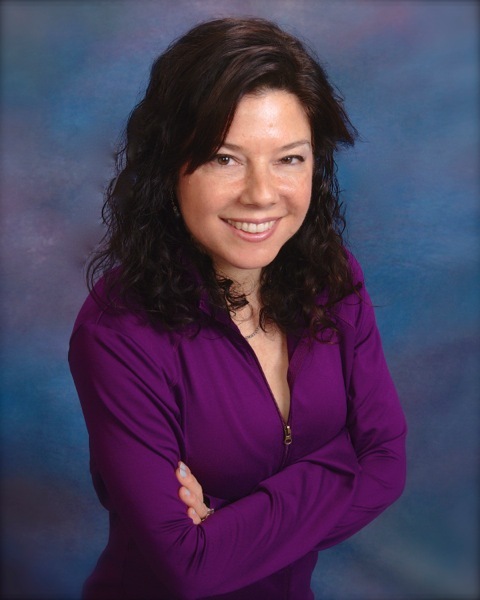 Laurie Fechter has been teaching Pilates for over ten years and Zumba for over six years. She is a certified AFAA group instructor, and has a background in education, music, dance and fitness. Laurie’s classes are fun, creative, energetic and easy to follow. She loves teaching people of all ages from children to seniors. You will smile while you get fit! Andrea Orlando is a master Zumba instructor with more than 2,000 hours of Zumba teaching experience in the Central New Jersey area. She has been studying Latin and ballroom dance for more than a decade, but has an eclectic style that includes elements of hip-hop, African, funk and jazz as well. She is based in Metuchen and teaches Zumba, Pilates and barefoot fitness at Rutgers University and other venues throughout the Central New Jersey area. Andrea’s Zumba class incorporates numerous dance styles for a heart-pumping, booty popping, electrifying experience. Bring your happy feet, and expect to sweat. Sonal Jhaveri is the founder and director of Khushi Dance Academy. She achieved her junior and senior degree in Bharatanatyam in Distinction from Education Board of Karnataka, India. Sonal is known and dedicated to provide meticulous training to youngsters with a vision to impart the rich culture and heritage that are an integral part of this supreme art form. Sonal has a bachelor's degree in Chemistry from Rutgers University. Sonal has worked as an IT Professional for 12 years, but her true love for dance never diminished and her love for Art and culture has encouraged her to start a new venture Khushi Dance Academy. Though Sonal always had a passion for dance, she knew something was missing and she had to do something more to be a complete dancer. Although she had been dancing various forms of dances such as Fusion, Folk and Movie dances, it was later that she discovered one of the most ancient dance forms called Bharatanatyam, which intrigued her. Since then, there has been no looking back for her. She was keen on pursuing this dance form to the fullest, and was fortunate enough to have found a world renowned Bharatanatyam exponent and a great Guru that trained and guided her. Based in NJ, Sonal has contributed greatly to the Indian community by performing, choreographing and presenting dance programs for numerous cultural events all over USA. Dany Joshua is a dynamic and down-to-earth Salsa dancer who promotes this beautiful art form through his focus on the Scarlet Mambo concept. Scarlet Mambo’s mission is to promote Salsa in the Central New Jersey area through social dancing, dance classes, performances, choreographies, Salsa events and Salsa friendships. Individually, Dany aims to give each dance partner the most enjoyable time that he can, irrespective of her experience level. Salsa dancing is a social activity and, therefore, its ethos rests on the satisfaction of all participants. Similarly, Salsa is a social animal that thrives under the idea that one cannot have enough Salsa friends. Therefore, Dany believes in building and fortifying Salsa relationships and partnerships with colleagues, dancers and enthusiasts. Salsa dancing has been a journey for Dany since 1998, when he began Salsa dancing at the Rutgers University Recreation Dance program (for which he is now an instructor). 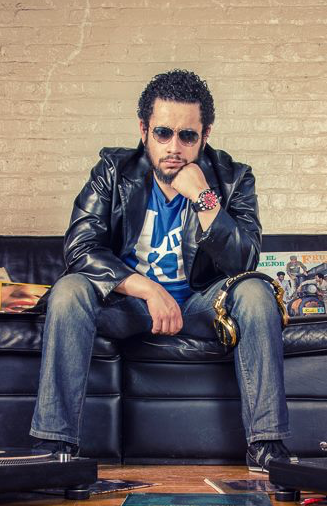 Over the years, Dany has trained with numerous (too many to count) Salsa instructors in New York City and New Jersey. Swathi started learning Kuchipudi Dance at the age of 5. She has completed Rangapravesam in very short period of time, at the tender age of 7. She has been actively pursuing her interest in Kuchipudi over the last 30 years. She runs a school in NJ called “Siddhendra Kuchipudi Art Academy” which is dedicated to have a new generation of dancers who will serve and spread this art all over the world. Swathi has performed all over India, participating in many prestigious dance festivals and shows. She has toured and performed in major cities in USA, Canada and Australia. She has portrayed many characters in dance ballets. Hers active interest in dance is reflected in her ongoing great dance performances. She is guiding her sons Hanish Polavarapu and Manish Polavarapu in her footsteps to pursue this art form. She is a versatile artist and has performed as numerous leading characters in many productions. She is very well known for her performance in “BhaktaPrahalada” as HiranyaKashipa and as Keechaka in “KeechakaVadha”. She has conducted various works shops for her students. She and 32 of her students have been a part of the Guinness Book of Records creation in 2008 in California- USA , and with 42 students in 2010 in Hyderabad- India. Swathi had the privilege of learning from Guru’s like Sri Satya Kumar, VendantamRadheShyam, PadmasreeDr.Sobha Naidu and Sri VempatiRavishankarGaru. With her first own dance piece choreographed at the age of 16, Swathi has much choreography to her credit. Bharatiya Kala Kendra is an institution of authentic Indian Music and Dance, Offers training classes on Indian Classical Vocal, Light Classical Vocal, Modern Songs, Voice Training, Sitar, Mandolin, Harmonium, Classical Dance (Manipuri) and Creative Dance. Bharatiya Kala Kendra is affiliated by top graded Indian-Universities; “Pracheen Kala Kendra” of Chandigarh and “Bangiya Sangeet Parishad” of Kolakata. Regular examinations are conducted by authorized examiners visiting from India. Successful students are offered degree certificates from the university. Students receiving training from any other institution or ‘Guru’ can also appear for examinations conducted by any of these universities. A unique opportunity for students of north-east USA. Also contact for A-Grade Musical-instruments, supplied directly from India by music-stores with decades of experience.